Greece has repaid $3.5 billion to the European Central Bank, with not a day to spare before the deadline expires. Greece made the payment early Thursday, just hours after European officials disbursed funding from the European Stability Mechanism that will help Athens stay afloat and pay down its debt. 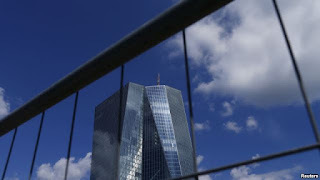 On Wednesday German lawmakers voted to approve the $95 billion bailout package. 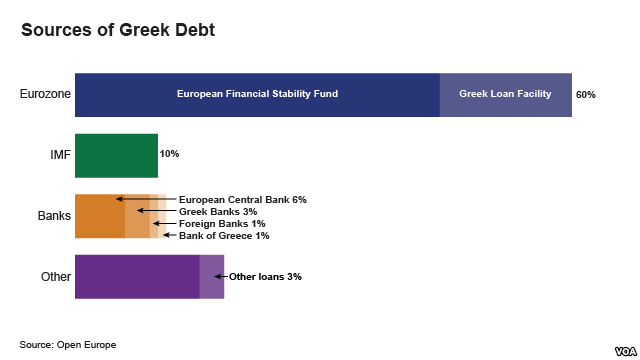 As the largest single contributor to Greece's economic bailout, the German parliament had to approve the deal before it could proceed. 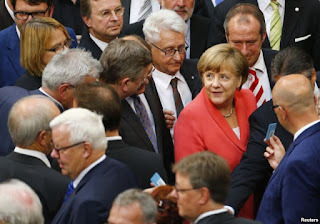 Chancellor Angela Merkel's finance minister, Wolfgang Schauble, told lawmakers it would be "irresponsible" not to approve the bailout, for the good of Greece and for the European Union. Last Friday, eurozone finance ministers approved the first $29 billion payment of the bailout deal for Greece after the Greek parliament approved the package earlier in the day. The eurozone decision saved Greece from default and helped to avoid its exit from the single currency eurozone.